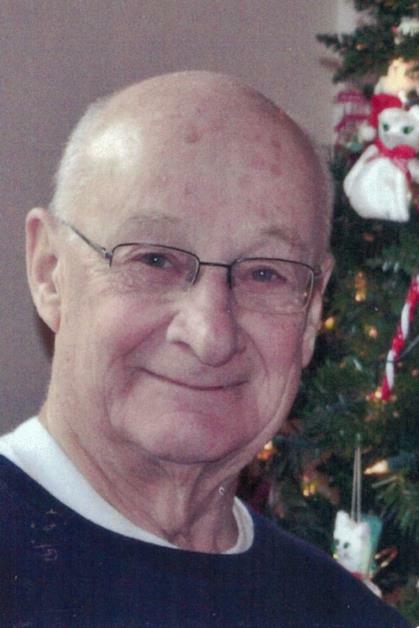 Obituary for Joseph Raymond Proulx | TRAUB FUNERAL HOME INC.
Joseph Raymond Proulx, 86, of Hastings, passed away on Saturday after a short battle with cancer. He served in the US Air Force during the Korean Conflict and worked as an Underwriter for National Grange Mutual. He is survived by his beloved wife of 61 years, Patricia (McGraw) Proulx; sons, Michael (Teresa) Proulx and David Proulx; grandchildren, TJ Proulx, Christine Proulx, and Pamula Grimes; great-grandson, Dylan Phillips; and many other family members and friends. Calling Hours will be held Thursday, September 13, 4 – 6 PM, with a service to follow at Traub Funeral Home, 684 N. Main St., Central Square, NY. A Mass of Christian Burial will be held in Divine Mercy Parish at a later date with a burial in Hillside Cemetery to follow. In lieu of flowers contributions may be to Divine Mercy Parish, 592 S. Main St., Central Square, NY.